Sean Penn takes on his first TV role in The First, Channel 4 and Hulu’s co-production. 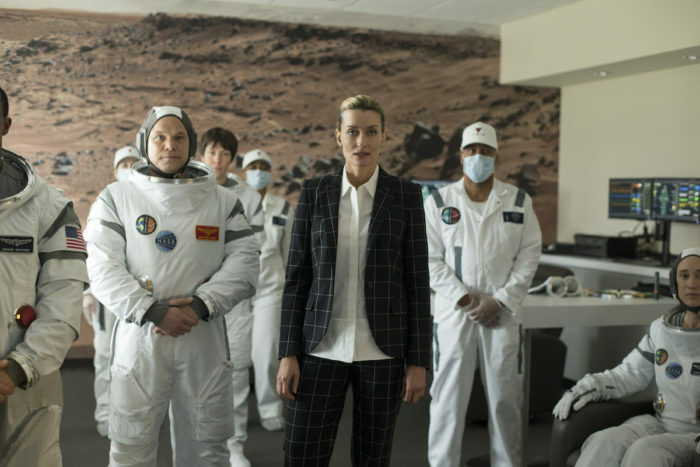 The sci-fi drama tells nothing less than the tale of the first manned mission to Mars, and with House of Cards creator Beau Willimon on writing duties, it’s safe to say that expectations are high. They’re comfortably met by this impressive opening episode, which spares no budget in assembling the crew and tech needed to launch a rocket into space. Penn’s Tom Hagherty, though, isn’t among them, as his veteran astronaut is bumped from the coveted mission – and with good reason. He’s joined on the ground by an impressive Natascha McElhone as Laz Ingram, the boss who’s the face of this aerospace venture. And, within an hour, they find themselves with more than enough complications to navigate on Earth, and the collision of regret, ambition, communication, commercialisation and technological innovation spirals out in ways that are surprising, tragic, complicated and compelling. It takes a lot of courage to open a show with this kind of debut instalment, especially when audiences will be tuning in ready to jump straight to the red planet, and the cast (Penn included) grapple with the weight material with gusto. Chris Lang switches things up for this new thriller, which ditches the enjoyable camaraderie of Unforgotten for a darker kind of drama – and that much is clear from the opening sequence, which goes into graphic, disturbing territory, as a man is mutilated and murdered by an anonymous killer. Enter DI Will Wagstaffe (Tom Riley), a troubled cop who suspects that there might be more to this – not least because another man with something nasty in common with the victim also turns up dead. So far, so sinister, and Da Vinci’s Demons director Colin Teague doesn’t waste the chance to make that clear, as London is portrayed as a gritty, grotty city, one where train carriages are bluntly lit and rooms are dank. But it’s Riley who makes this worth the watch, as his Wagstaffe walks the familiar walk of a rogue detective who knows how to crack a case. That’s not because of his no-nonsense interactions with his team, or his smarts on spotting a pattern, but because he brings a convincing realism to his personal life – Wagstaffe, we learn, is still mourning the loss of his parents, but is also close to his sister, Juliette (Charlotte Riley), and his nephew, and the warmth of their scenes together are just enough to keep the darkness at bay for a few minutes. 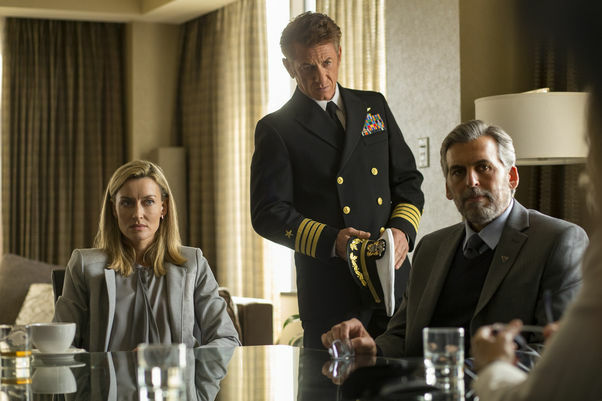 If that delicate balance can continue, Dark Heart’s six-part series (which avoids things getting too intense by splitting the run into three separate two-part cases) could be your new favourite weeknight crime drama. Don’t you hate it when you accidentally travel through time, leave behind your menial office job and wind up trapped in a medieval-era land of fantastical creatures and blithering idiots? 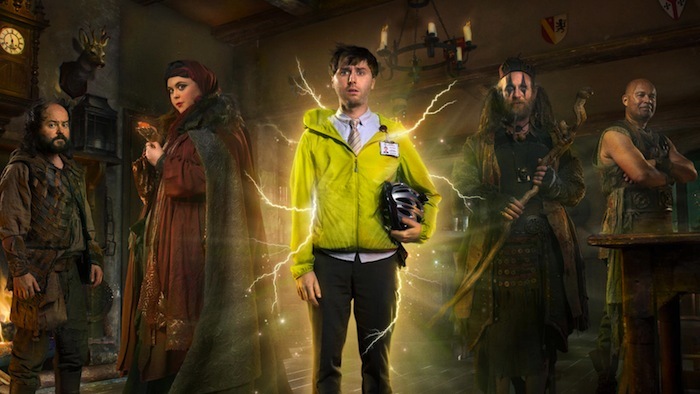 That was the starting point for Dave’s Zapped in 2016, with The Inbetweeners’ James Buckley starring as Brian, a marketing assistant who stumbles into the parallel world of Munty, where he encounters warrior-turned-landlord Herman (Louis Emerick), a witch, Barbara (Sharon Rooney), and armchair revolutionary Steg (Ken Collard). It feels like a long time ago, and yet, what a difference two years makes: this third season feels like Red Dwarf at a similar point in its run, as the show expands its scope, doubles down on its characters and massively ramps up the jokes. What initially started out as a showcase for Paul Kaye’s wizard, Howell, is now an evenly balanced laughter fest, something that’s demonstrated by removing Howell from the plot altogether – when we catch up with the gang, he’s now been trapped in the present day, at Brian’s old company, and he’s running riot in the office, ordering bottles of wine using other people’s credit cards, dominating the team karaoke sessions and getting exceedingly wasted. He’s hysterically over-the-top, impossibly absurd and wears make-up that wouldn’t be out of place in a David Bowie music video. 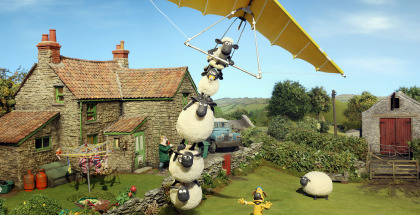 But he’s only a part of the story, as back in Munty, Brian finds himself captured by a circus owner, Feffenhoffer – leaving Barbara and Steg to mount a wonderfully woeful set of escape attempts. Rooney and Collard’s individual incompetences are amusing and endearing in equal measure, while Buckley’s straight man anchors the silliness with a dependable deadpan. And the balance of that ensemble means there’s room for Zapped to branch out with guest stars without rocking the boat. After Season 2 opened with an impressive Nina Wadia, Season 3 introduces itself with a laugh-out-loud turn from Steve Coogan, who’s clearly enjoying hamming it up as the cruel Feffenhoffer, delivering one-liners with sharp wit, hilarious facial expressions and a pantomime petulance that never gets old. If you’ve never tried Zapped, this entertaining third season is the point to get on board.